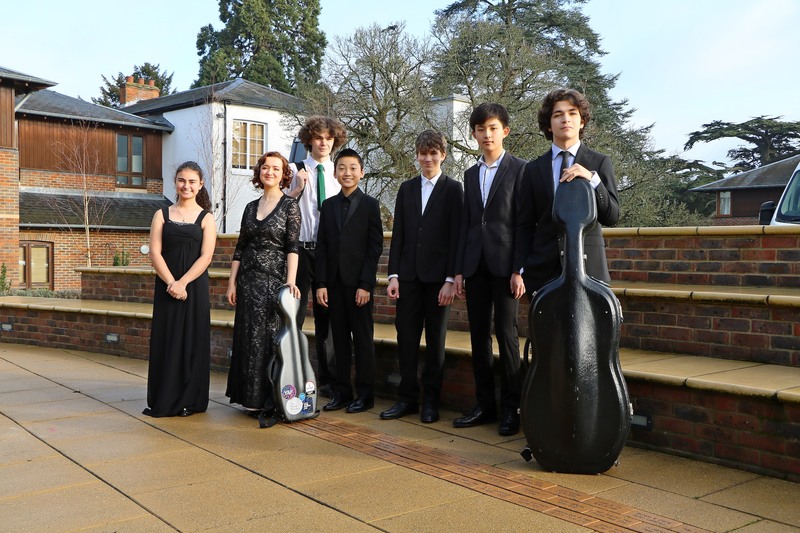 We are delighted to announce that as part of their annual tour of Scotland, pupils from the Yehudi Menuhin School will return for the third year to play a Coffee Concert in May. The admission price includes coffee and a selection of cakes which will be available before the concert. Please note that the concert itself begins at 11.15 am. Yehudi Menuhin founded his famous school in England to provide the environment and tuition for musically gifted children from all over the world to pursue their love of music, develop their musical potential, and achieve standards of performance on stringed instruments and piano at the highest level. The Yehudi Menuhin School was founded in 1963 and moved down to Stoke d’Abernon the following year. It aims to give talented young string players, pianists and classical guitarists a rounded education, allowing them time to fulfil their musical potential alongside their academic studies. It is a boarding school with 80 pupils this year. The School is truly international: about half the students are British and the others come from around twenty different countries. After graduating from the School pupils continue their musical training with some of the most renowned teachers in the world, either at conservatoires in the UK or overseas. Many past pupils are now well-known figures in the music world. These include Nigel Kennedy, Tasmin Little, Melvyn Tan, Kathryn Stott, Paul Coker, Colin Carr, Paul Watkins, Nicola Benedetti, Alina Ibragimova and members of the Endellion, Australian and Belcea Quartets. Entry to the School is open to any pupil between the age of 7 and 16 years and is by rigorous musical audition. Pupils resident in the UK for two calendar years are eligible for a bursary under the Music and Dance Scheme (funded by the Department for Education). The School is also able to offer some financial help to those pupils who do not qualify for the scheme. It is the School’s aim to provide the opportunity for gifted to children to develop their skill and that the love of music is continued, irrespective of nationality and the ability to pay.